This music web site template has attractive graphics. 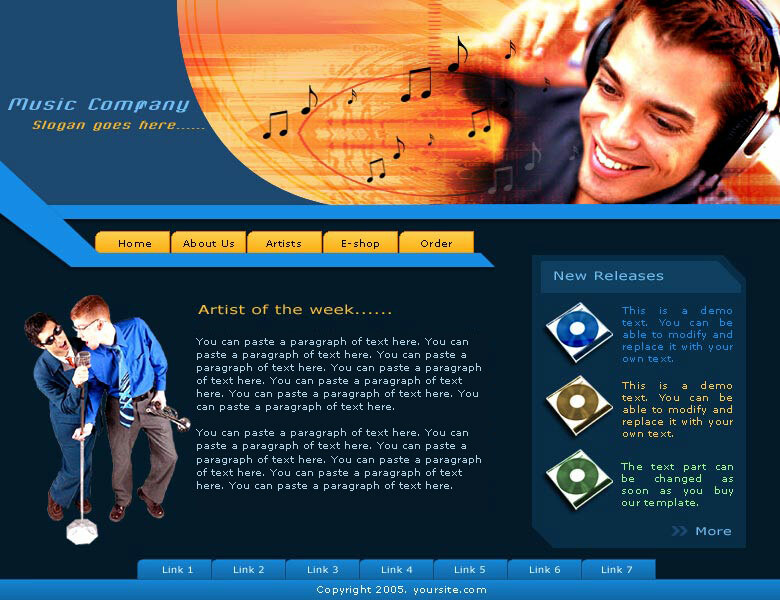 The home page has an image of a young man listening to music on ear phones. It has everything a music company needs to promote their business.